DAVIE, Fla. (November 30, 2018) – Dental Fix Rx, a fast-growing national mobile dental equipment repair franchise and subsidiary of Dental Whale, launched its Unlimited Service Plan, which immediately began fulfilling demand for cost-effective repairs in the dental industry. In the first 90 days, 88 dental offices in different franchise territories signed on to participate in the plan. The new service, provided by the leading mobile dental equipment repair company that serves more than 53,000 customers throughout North America, helps dentists remain productive and profitable. With the Unlimited Service Plan, dental practices receive regular preventive maintenance checks and repair services for one low monthly flat rate. 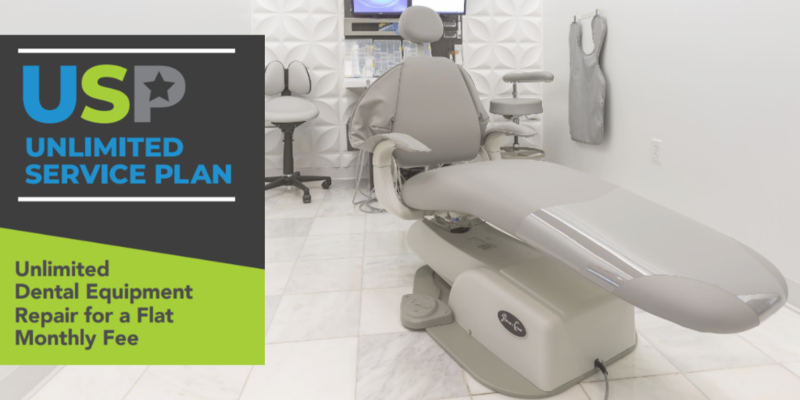 Whether it’s a dental chair, compressor, ultrasonic scalers or anything else, a Dental Fix Rx technician will be there when dentists need them – and even before they are needed. Dental practices enrolled in the Unlimited Service Plan receive the same first-rate service every time because the same Dental Fix Rx technician will perform all checks and repairs. To learn more about Dental Fix Rx’s Unlimited Service Plan, visit www.dentalfixrx.com/usp or call 800-586-0340.